Startup Maryland announced dates (September 10th – October 8th) and the rough route for the STRT1UP Road Show, the fifth annual state-wide tour and celebration of entrepreneurship and high-growth innovation-centric startup companies. The STRT1UP Road Show will again traverse the state all in the name of celebrating Maryland’s diverse ecosystem of venture building. 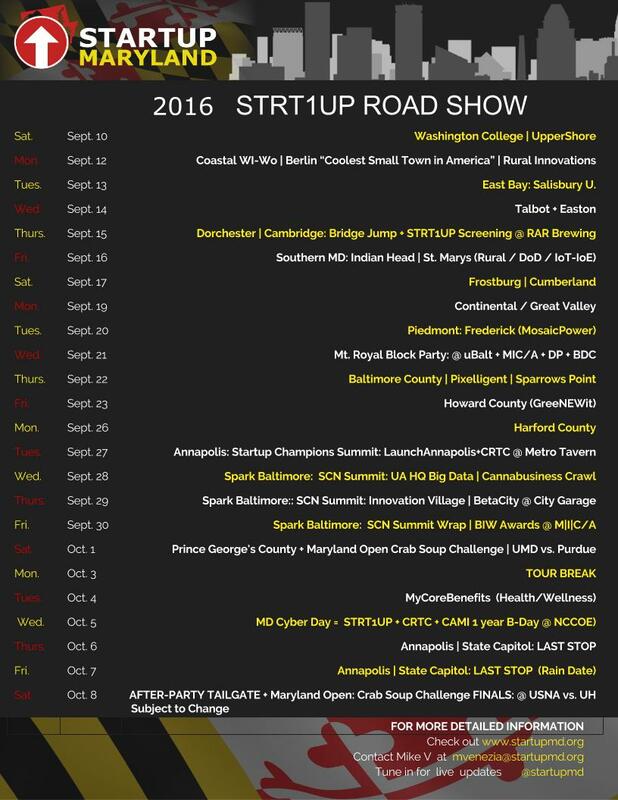 For more information see scheduled STRT1UP Road Show tour dates and tentative route locations by visiting http://www.startupmd.org.